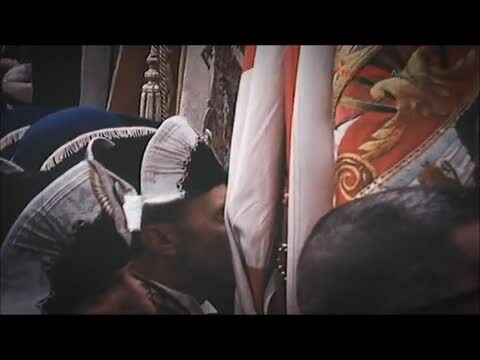 1967 Italian film footage of suffering pontiff Gregory XVII, ("Siri") making a MANDATORY (by his captor's will) public appearance. NOTE: The holy Catholic mystic Marie-Julie Jahenny, who related many aspects of the Hostage Pope's hidden papacy, had it revealed to her the means by which the Enemy would achieve its stealthy incarceration (sede impediti) of Christ's Vicar: "Arms recently invented will be taken up; day and night they will encamp around his prison." (March 13, 1878) And on August 10, 1880: "If the prisoner martyr (Pope) directs a call (for help), it will be forbidden, under pain of torture and death, for any kingdom to rush in response to his call." Can you give me some more info regarding ... June 1988. I am just learning all about this for the first time. 6/14/1988 was the day the True Pope elected at the '58 Conclave was heroically made contact with by a providential priest, who then brought in trusted helpers. Bishops & Cardinals were created by the "Hostage Pope" to carry on the Church's Divine Mission. Prophecy of A.C. Emmerich: "I fear the Holy Father will suffer many tribulations before his death, for I see the black counterfeit church gaining ground... The distress of the Holy Father... is really so great that one ought to pray to God day and night." This Pope suffered greatly. He did not speak up because part of the blackmail was that clerics in Russia would be killed if he did. For the record when the opportune time occurred for him to speak (in June 1988) ... unfortunately the Enemy "caught wind", and within a year he was killed. Poor Holy Father! This is a clip of few seconds. How he must have gone through his life since 26 October 1958 until his death. All this shouldn't have occurred!